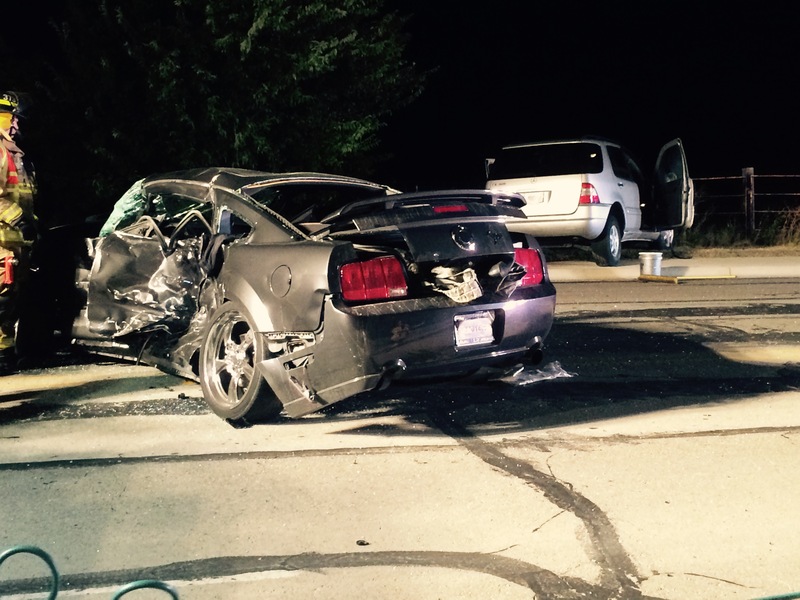 Officers responded to numerous 911 calls telling them about a major crash in the 3500 block of Watercrest Road at 10:16pm, on Friday, August 21, 2015. Upon the officers’ arrival they located a dark gray 2007 Ford Mustang in the middle of the roadway, occupied by 2 males, and a silver 2000 Mercedes Benz SUV on the south side off the roadway. The preliminary investigation revealed that the Ford Mustang was traveling westbound on Watercrest at a high rate of speed; at some point the driver lost control and the vehicle began to spin out of control continuing westbound into the oncoming lanes colliding with the Mercedes SUV. The Mustang’s driver side collided with the front of the Mercedes, pinning the driver inside. The 34 year old female driver of the Mercedes was transported to Metroplex Hospital with non life threatening injuries and the passenger in the Mustang was transported to the Carl R. Darnall Army Medical Center in critical condition; he was later transferred to the Baylor Scott & White Hospital. The 21 year old driver of the Mustang, a Fort Hood soldier, was pronounced deceased at the scene by Justice of the Peace Garland Potvin at 10:55pm. There will not be an autopsy performed. The name of the deceased has been withheld pending the notification of their next of kin. The names of the other occupants have also been withheld due to the severity of the crash. On Friday, August, 14, 2015, a series of robberies started where a male suspect entered various businesses with a mask covering his face and a knife in his hand. The male demanded money from the businesses and made off with an undisclosed amount of cash. The first robbery occurred in Bell County at a Dollar General, and was investigated by the Bell County Sheriff’s Office. Over the next few days, a Subway Restaurant in Copperas Cove, a Subway Restaurant in Gatesville, two Subway Restaurants in Killeen and two Dollar General Stores also in Killeen, were robbed by the same suspect. The Killeen Police Department worked together with the Bell County Sheriff’s Department, Copperas Cove Police Department, and the Gatesville Police Department and a suspect was identified and placed under arrest. 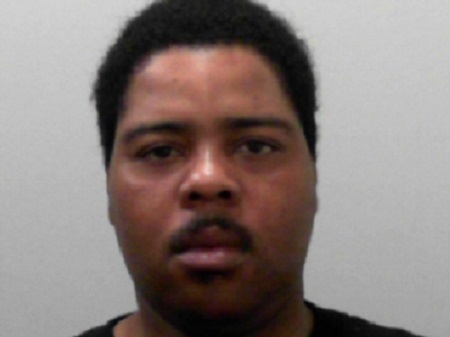 The suspect was identified as 31 year old Alfredo Eldridge Coleman Jr. of Killeen. Justice of the Peace Garland Potvin set his bond at $850,000; he is currently in the Killeen City Jail awaiting transfer to the Bell County Jail. The agencies continue to investigate these robberies and information will be released as it becomes available. The Killeen Police Department would like to remind all motorists that beginning Monday, August 24, 2015, a new school year begins. On Monday, August 24, 2015, motorists will be seeing more children walking to and from school. 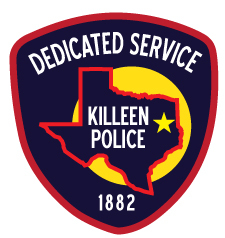 The Killeen Police Department is asking all motorists to be mindful of the extra pedestrians and that the school zones will be in effect and will be enforced. Remember the speed limits will be decreased in a designated school zone; the majority of school zones begin at 7:00am and are usually 20 mph. Please remember children are known to dart out into the roadway and it is asked that you give extra attention when driving. We would also like to remind you that it is against the law to talk on a cell phone while operating a motor vehicle within a designated school zone unless the vehicle is stopped or the device is used with a hands free device or to make an emergency call. It is against the law to use a wireless communication device to view, send or compose an electronic message or engage other application software while operating a motor vehicle in a designated school zone. Officers responded to the Terrace Heights Apartments located at 1701 Terrace Drive at 10:24am, on Sunday, August 16, 2015, after receiving a 911 call about shots fired. Upon the officers’ arrival, they located two victims suffering from gunshot wounds. Paramedics transported a female victim to Baylor Scott and White Hospital and the male victim to the Carl R. Darnall Army Medical Center in stable condition. The officers were told that the suspect forced his way into the apartment and shot two people. The suspect then fled the area on foot and the residents from the apartment complex gave chase but lost sight of the suspect. The suspect is described as a black male, approximately 5’7”-5’8” tall with a stocky build and was wearing a black ski-mask and dark clothing. Detectives are asking anyone who has information about this shooting or who can identify the suspect involved in this case, is asked to contact Crime Stoppers at 254-526-TIPS or send an anonymous tip at www.bellcountycrimestoppers.com or text BELLCO along with the tip to 274637. Text HELP to 274637 for help with the tip or text STOP to 274637 to stop the tip. All information is anonymous and confidential. If your tip leads to the arrest of the suspect you could be eligible to receive a reward up to $1,000 in cash. Officers were called to the 5900 block of Cobalt Lane at 4:51pm, on Sunday, August 9, 2015, after receiving a 911 call in reference to a shooting. Officers arrived to find a female in the driveway suffering with a gunshot wound; she was immediately transported to the Carl R. Darnall Army Medical Center with life threatening injuries. The 24 year female succumbed to her injuries and was pronounced deceased by medical authorities at 6:01pm. Once the residence was secured, officers located a male and a female deceased inside the residence. Justice of the Peace Garland Potvin pronounced the 38 year old female deceased at 6:18pm and the 38 year old male deceased at 6:21pm. Through the investigation it was revealed that this incident appears to be a Double Murder/Suicide. The detectives learned that there was a domestic disturbance occurring when the male produced a handgun and shot his wife. The other female, the wife’s sister, was fleeing the residence when the male shot her. The male then returned inside the residence and shot himself. There were others inside the residence but there were no other injuries. The female victims have been identified as 38 year old Jacquelyn Leonna Morrell and 24 year old Regina Diane Culbert. The male has been identified as 38 year old Wiley Stephen Morrell. There will be no other information released involving this case. Detectives continue to investigate the incident on Cobalt Lane. Through the investigation it has been learned that this incident appears to be a Double Murder/Suicide. The detectives learned that there was a domestic disturbance occurring when the male produced a handgun and shot his wife. The other female, the wife’s sister, was fleeing the residence when the male shot her. The male then returned inside the residence and shot himself. There were others inside the residence but there were no other injuries. The names continue to be withheld until further notifications are made. The names of the deceased have been withheld pending the notification of the next of kin. Detectives are continuing to investigate this homicide and information will be released as it becomes available. On Tuesday, October 6th, neighborhoods throughout Killeen are being invited to join forces with thousands of communities nationwide for the “32nd Annual National Night Out” (NNO) crime and drug prevention event. National Night Out is designed to: (1) Heighten crime and drug prevention awareness; (2) Generate support for, and participation in, local anticrime efforts; (3) Strengthen neighborhood spirit and police community partnerships; and (4) Send a message to criminals letting them know neighborhoods are organized and fighting back. From 6 to 9 p.m. on October 6th, residents in neighborhoods throughout Killeen and across the nation are asked to lock their doors, turn on outside lights and spend the evening outside with neighbors and police. Neighborhoods are encouraged to host a variety of events such as block parties, cookouts, contests, and youth activities. Call and register your neighborhood so they will get a visit from the police department, fire department and McGruff the Crime Dog. “The National Night Out program is an outstanding campaign to help build neighborhood unity and strengthen police-community partnerships. On October 6th, we invite citizens of Killeen and neighborhoods nationwide to join forces with us to give Crime & Drugs a Going Away Party.” It’s also a chance to have a really good time!